Avenger is assisting in the fight against Ebola! November 7th, 2014 | News | avengeradmin | Comments Off on Avenger is assisting in the fight against Ebola! Avenger attended NBAA’s 2014 convention in Orlando, FL last week. It was a pleasure to form new relationships with a number of you and revisit the customers and friends we’ve gained throughout the years. Next stop: MRO 2015 in Miami Beach! 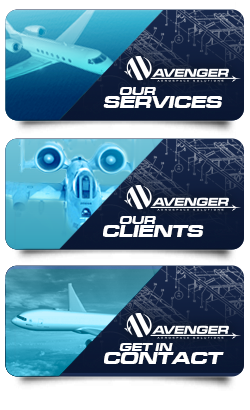 Avenger Aerospace Solutions will be attending NBAA 2014 Business Aviation Convention & Exhibition in Orlando, Florida. We will be located at Booth #1952. Join us in the Sunshine State and be a part of business aviation’s largest event!